Rosacea is a common, yet debilitating, skin disease that can snuff out any bright personality with one flare-up. 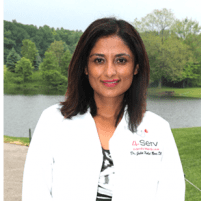 For those in the Livonia, Michigan area who are suffering from rosacea, contact a member of the team at Flawless Med Spa today to learn how Dr. Kalsi can help. As the disease persists over time, those who suffer from rosacea often notice a permanent redness develop in their face. How Can Flawless Medical Spa Help? Dermaplaning — A procedure in which the doctor gently exfoliates the top layers of the skin using a scalpel. Clear Lift Plus — A laser skin resurfacing treatment that is both quick and painless. Dye-VL Treatment — Uses light pulses to gently resurface the skin with results seen immediately. For the many people who are walking through life suffering from rosacea, help from qualified doctors like Dr. Kalsi is available. To learn more about these treatments and their benefits, contact a member of the medical spa’s team today and make an appointment to see Dr. Kalsi.